Neoprene – synthetic rubber (the made foam rubber). For improvement of some parameters can add to its structure also other substances. The neoprene was invented in the 1930th years by scientist Dr Elmer K. Bolton from the DuPont company. The American chemist, the director of research of the DuPont company Elmer Keiser Bolton whose researches, led to discovery of nylon was one of developers of material. The DuPont company patented the invention and in 1931 began to release a new product under the DuPrene trademark. Then the invention was exposed to completions. Since 1937 material began to be called a neoprene. The neoprene can be used at temperatures from −55 by °C to +90 °C, however actual temperature range depends on the concrete chemical composition of material. The neoprene is resistant to impacts of a sunlight and chemically active oil products. And in 1953 the French chemist Georges Beuchat invented a diving suit on the basis of a neoprene. The range of use of this unusual fabric is very wide and continues to grow thanks to its unique properties. The neoprene is widely applied in the industry, medical practice to production of orthopedic products, bandages, corsets, belts for weight loss, wristlets, etc., in sport – as protective equipment in extreme sports, such as airsoft, a paintball, mountaineering, etc. In addition, make protective equipment for various single combats of a neoprene. Products from a neoprene are also used in equestrian sport – girths, pillows, pillows for driving without saddle are made of it. Tourist equipment – waterproof footwear, gloves, socks is made of a neoprene. Especially widely neoprene products are used in boating. The neoprene gained great popularity as material for production of various covers, including protective covers for laptops, tablets, phones, cameras, covers for road suitcases. In the 2000th years the neoprene began to be used for production of fashionable accessories and clothes. When tailoring often use the neoprene which is pasted over with fabric – polyester, cotton or other types, generally elastic. The first stage in production of a neoprene is formation of raw materials by a mechanical use. Further, during numerous processes of a compression and extrusion, there is a curing of all weight in compact blocks which after appropriate endurance are divided into sheets of various thickness. At the end processing of a surface and its pasting is carried out by fabric. At all stages of process, it is necessary to observe strictly requirements for time, pressure and temperature. Quality of the final product depends on them. Formation of cellular structure is decisive. Thanks to the special characteristics, the neoprene is considered multipurpose material. 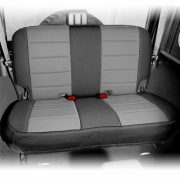 In cars this material is widely used because of characteristics it offers. It helps to keep the car clean because it protects the seats are is easy to clean itself. Also these are water resistant – that means it’s good to use for people who goes to the gym and needs to get back in their car all sweaty. Without covers the seats would be a real mess and will start to smell not that pleasant. Many people with brand new car which is used for daily stuff prefer to put seat covers so affordable neoprene car seat covers comes in to play and offers many features people are looking for to keep their life comfortable. Especially in open roof cars they become actual, because the interior of the car is affected by weather conditions a lot. Neoprene will help if it’s hot or even rainy, this material can take it all and still offer protection. It is steady against differences of temperatures. It is resistant to mechanical and chemical damages. It is steady against formation of fungi and bacteria. It is Eco-friendly and safe for skin. Besides neoprene light material, flexible, plastic and quite strong. There are several kinds of a neoprene differing in density and thickness. Depending on a look it is used differently. The LS type – especially soft and extensible. Apply in tailoring of things to aquatics and casual clothes (to rest). Type S – well extensible, has the high durability, stability and density. 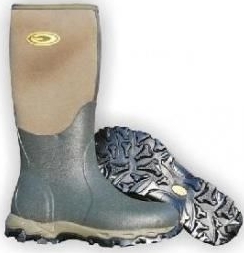 It is recommended to make suits for diving, bandages, packings, internal details of boots and boots. The HS type – has the high density of cells, is especially steady against compression. Use in professional diving and equestrian sport. The HHS type – has very dense cellular structure, low flexibility. Apply in technical spheres. The NF type – fire-resistant, on density is similar to type S. Apply in the special industrial purposes, to fire ammunition. Type W – differs in white color. It is applied generally in medicine. Things from neoprene fabric demand special leaving. For washing of products from this material usually use a dry-cleaner. But if to follow the simple rules, it is possible to wash also in house conditions. For this purpose not higher than 30 degrees and the sparing detergent use warm water, in the machine choose the mode of delicate washing. As things from a neoprene are waterproof, two times erase them: at first an external surface, and then turn inside out and repeat process. In the 2000th years, as fabric, for creation of fashionable clothes, fashion designers began to use a neoprene. At first the French fashion designer Nicolas Ghesquière, the chief designer of brand Balenciaga (since 2013 the artistic director of the female Louis Vuitton collections), the English fashion designer Gareth Pugh, American Phillip Lim, etc. The clothes from a neoprene reigned in a spring and summer season of 2012 on fashionable podiums. Designers offered the most various things from this material – polo-necks, shorts, skirts, dresses, footwear, etc. The clothes from a neoprene are widely used in the fashionable sport chic direction.